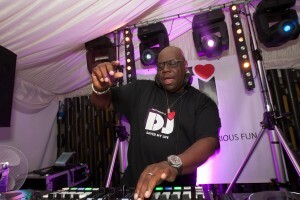 The almighty DJ Carl Cox plays to ravers and MPs (and some MP ravers) in the House of Commons with the Last Night A DJ charitable music foundation. Apparently, the Commons session closed early because they couldn’t compete with the bass shaking the floor. Excellent decision by a handful of the MPs who voted with their feet and went for an ‘If you can’t beat ‘em, join ‘em’ approach and came downstairs to ‘The Terrace’ bar on the Thames. I had a scan back through the archives and it’s been 10 years since I last photographed Carl and am happy to report that neither of us have aged a single day and still lovin’ the tunes. Full set of images via Getty Images.